For anyone who is keeping up with the blog, I feel this is getting old: but due to the increasing demands of both me and Lolzor's life we may have to stop the RCotD. We are doing our best to keep up with the "big 3" of our website: IPotW's, MUCMonday's, and the updating Bangchuckers! webcomic. I suppose I could ask Bit to do some of the work, but it seems I've lost basically all contact with him since he moved. What's even worse, is if you have been reading these excerpts in the beginning of MUCMonday's, you would know that I'm leaving the country soon for a couple of weeks. As such, this may or may not be my last MUCMonday for a while. If it's not the last, it's second-to-last. 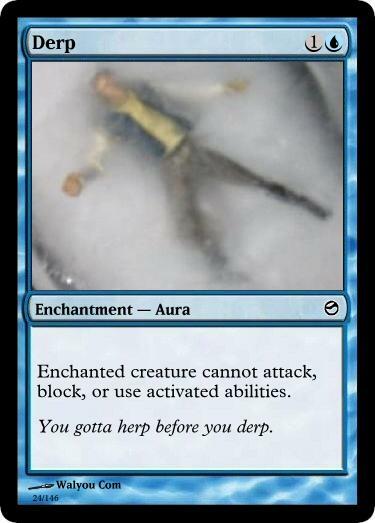 Enchanted creature cannot attack, block, or use activated abilities. Basically the flatout better version of Ice Cage. Way undercosted compared to Arrest. Doubt it will ever be printed. And yes, that is a Han Solo figurine trapped in ice. 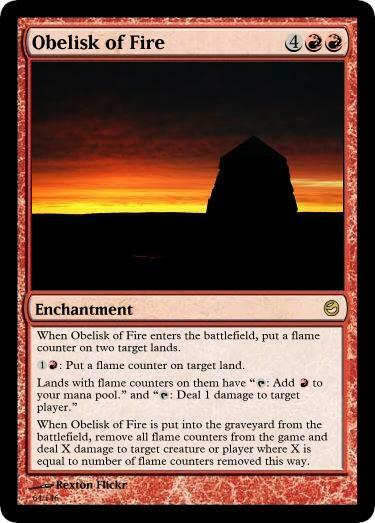 When Obelisk of Fire enters the battlefield, put a flame counter on two target lands. 1R: Put a flame counter on target land. When Obelisk of Fire is put into the graveyard from the battlefield, remove all flame counters from the game and deal X damage to target creature or player where X is equal to number of flame counters removed this way. 3W: Put a sun counter on target land. 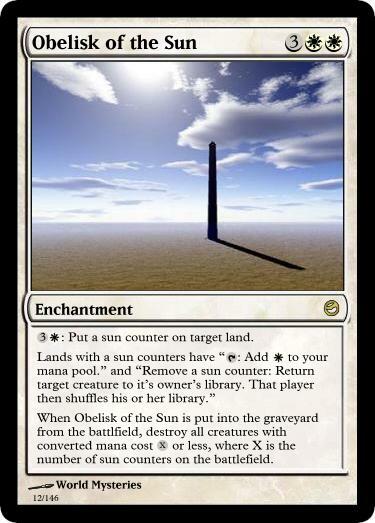 When Obelisk of the Sun is put into the graveyard from the battlfield, destroy all creatures with converted mana cost X or less, where X is the number of sun counters on the battlefield. 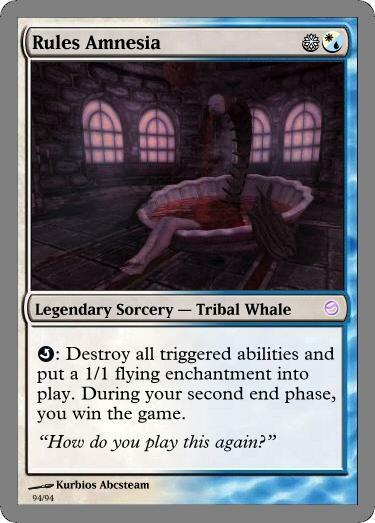 Finished the Obelisk cycle for you guys. Come to think of it, this set is getting filled up really fast. WE MAY HAVE A GUEST WEEK FOR MUCMONDAY SOON. FORWARD OR EMAIL ALL OF YOUR IDEAS TO LOLZOR.